MARIO RITTER: Welcome to THE MAKING OF A NATION - American history in VOA Special English. Franklin Roosevelt's New Deal policies during the nineteen thirties changed the face of American government. The new president and the Congress passed legislation that helped farmers, strengthened the banking system and supplied jobs for millions of workers. One of the results of Roosevelt's policies was a stronger movement of organized labor in America. This week in our series, Sarah Long and Doug Johnson continue the story of the presidency of Franklin Delano Roosevelt. One of the results of Roosevelt's policies was a stronger American labor movement. SARAH LONG: Labor leaders had little success in organizing workers in the United States during the nineteen twenties. Three Republican presidents and a national wave of conservatism prevented them from gaining many members or increasing their negotiating power. 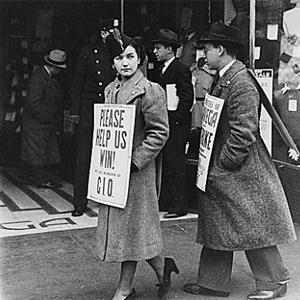 In nineteen twenty-nine, organized labor fell even further with the beginning of the great economic depression. By nineteen thirty-three, America's labor unions had less than three million members. 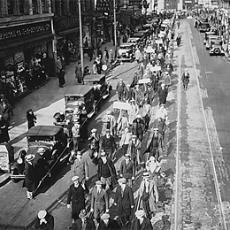 But by the end of the nineteen thirties, more than ten-and-a-half million American workers belonged to unions. DOUG JOHNSON: New laws proposed by the Roosevelt administration made the labor growth possible. The National Industrial Recovery Act of nineteen thirty-three gave labor leaders the right to organize and represent workers. The Supreme Court ruled that the law was illegal. But another law, the Wagner Labor Relations Act of Nineteen Thirty-Five, helped labor unions to increase their power. Most of the leaders of America's traditional labor unions were slow to understand their new power. They were conservative men. They represented workers with certain skills, such as wood workers or metal workers. They did little to organize workers with other kinds of skills. But a new group of labor leaders used the new laws to organize unions by industries, not by skills. They believed that workers would have much more power if they joined forces with other workers in the same factory to make common demands. 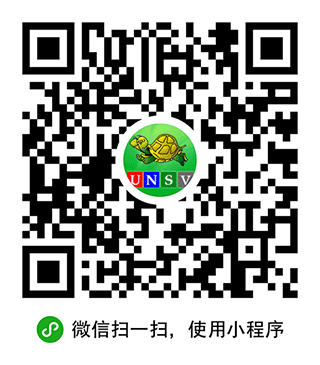 These new leaders began to organize unions for the automobile industry, the steel industry, and other major industries. SARAH LONG:The leader of the new movement was the head of the mine workers, John L. Lewis. Lewis was a powerful leader with a strong body and strong opinions. He had begun to work in the coal mines at the age of twelve. Lewis rose to become a powerful and successful leader of the mine workers. But he was concerned about workers in other industries as well. And he believed that most of the leaders in the American Federation of Labor were doing little to help them. For this reason, Lewis and the heads of several other unions formed their own group to organize unions by industry, not by skills. They called their group the Congress of Industrial Organizations, the CIO. And they tried immediately to gain members. DOUG JOHNSON: The CIO successfully organized the workers in several major industries. But it succeeded only by hard work and struggle. The CIO's first big battle was against the giant automobile company, General Motors. Late in nineteen thirty-five, workers at several General Motors factories began a "sit-down" strike at their machines to demand better pay and working conditions. After forty-four days, General Motors surrendered. It recognized that the automobile workers' union had the right to represent GM workers. And it agreed to negotiate a new work agreement. SARAH LONG: The struggle at the Ford Motor Company was more bitter. Ford company guards beat union organizers and workers. But the Ford company finally agreed to negotiate with the new union. The same story was true in the steel industry. But the new labor leaders succeeded in becoming the official representatives of steel workers throughout the country. By nineteen thirty-eight, the C.I.O. had won its battle to organize major industries. In later years, it would join with the more traditional American Federation of Labor to form the organization that remains the most important labor group in America today, the AFL-CIO. DOUG JOHNSON: President Roosevelt was not always an active supporter of organized labor. But neither was he a constant supporter of big business, like the three Republican presidents before him. In fact, Roosevelt spoke out often against the dangers of big business in a democracy. These speeches caused great concern among many of the traditional business and conservative leaders of the nation. And Roosevelt's increasingly progressive policies in nineteen thirty-five made many richer Americans fear that the president was a socialist, a dictator or a madman. Former president Herbert Hoover, for example, denounced Roosevelt's New Deal policies as an attack "on the whole idea of individual freedoms." The family of business leader JP Morgan told visitors not to say Roosevelt's name in front of Morgan. They said it would make his blood pressure go up. SARAH LONG:This conservative opposition to Roosevelt grew steadily throughout nineteen thirty-five and thirty-six. Many Americans were honestly worried that Roosevelt's expansion of government was the first step to dictatorship. They feared that Roosevelt and the Democrats were trying to gain power as the Nazis did in Germany, the Fascists in Italy or the Communists in Russia. DOUG JOHNSON: The Republican Party held its presidential convention in the summer of nineteen thirty-six. 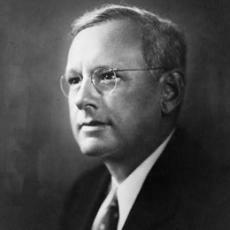 The party delegates chose Alfred Landon to oppose Roosevelt for president. Mr. Landon was the governor of the farm state of Kansas. He was a successful oil producer with conservative business views. But he was open to some of the social reforms of Roosevelt's New Deal. 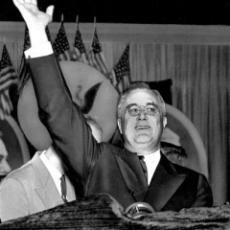 Republicans hoped he would appeal to average Americans who supported mild reforms, but feared Roosevelt's social policies. The Democrats nominated Roosevelt and Vice President John Garner to serve a second term. SARAH LONG: The main issue in the presidential campaign of nineteen thirty-six was Franklin Roosevelt himself. Roosevelt campaigned across the country like a man sure that he would win. He laughed with the cheering crowds and told them that the New Deal had helped improve their lives. In New York, Roosevelt made a major speech promising to continue the work of his administration if he was re-elected. FRANKLIN ROOSEVELT: "Of course we will continue to seek to improve working conditions for the workers of America. "And, my friends, for all these we have only just begun to fight." DOUG JOHNSON: The Republican candidate, Alfred Landon, began his campaign by saying that many of Roosevelt's New Deal programs were good. But he said that a Republican administration could do them better and for less money. However, Landon's words became much stronger as the campaign continued. He attacked many of Roosevelt's programs. The campaign became increasingly bitter. Roosevelt said his opponents cared only about their money, not about other Americans. "I welcome their hatred," he said. Landon's supporters accused Roosevelt of destroying the nation's economic traditions and threatening democracy. SARAH LONG: The nation had not seen such a fierce campaign in forty years. But when it was over, the nation also saw a victory greater than any in its history. Franklin Roosevelt defeated Alfred Landon in the election of nineteen thirty-six by one of the largest votes in the nation's history. Roosevelt won every state except Maine and Vermont. The huge election victory marked the high point of Roosevelt's popularity. In our next program, we will look at the many problems he faced in his second administration. MARIO RITTER: Our program was written by David Jarmul. The narrators were Sarah Long and Doug Johnson. You can find our series online with pictures, transcripts, MP3s and podcasts at www.unsv.com. You can also follow us on Facebook and Twitter at VOA Learning English. Join us again next week for THE MAKING OF A NATION -- an American history series in VOA Special English.